APR Landscapes was developed in 2010 and prides itself on offering the best landscape materials and products for your garden. Our aim is to create a functional and aesthetically appealing garden to suit your needs – it's as simple as that! Our ongoing client engagement throughout an entire project instils trust and confidence: we work closely with you during all aspects of the task, from concept development to design, and then construction. We also consistently ensure we work within your budget. We are passionate about the environment and, wherever possible, use environmentally sustainable products and practices in our landscaping and constructions. Safety is our top priority: our projects are always managed using the latest occupational health and safety (OH&S) requirements, and when required, we only provide licensed sub-contractors. We are also able to provide insurance. I'm Charlotte Harrison, the owner of La Planta, a gardening business located in Hawthorn, Melbourne. I'm a qualified horticulturalist with more than 10 years' experience working in gardens and nurseries, providing expert advice on garden design, plant selection and garden care. 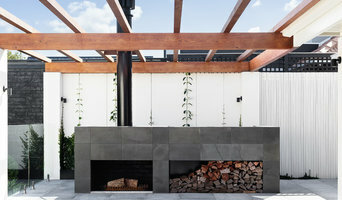 I'm passionate about creating beautiful, liveable outdoor spaces. My philosophy is to listen to each client so I can fully understand their needs, budget and timelines. I then give honest, practical advice and recommendations tailored to their needs. Whether you have an overgrown jungle, a patch of bare dirt or something in-between, I can help you create a welcoming space that you can enjoy year-round. No two outdoor spaces are the same. That's why my design services always start with a site visit so I fully understand your needs. I will then prepare a concept plan, budget and timeline. With a final design in hand, I then source top-quality pots, plants and other materials at competitive prices, and install your garden with unrivalled attention to detail. La Planta also provides reliable, professional garden maintenance services with the care and attention required to present each garden at its absolute best. Providing quality Landscaping and Garden Maintenance with 9 years of experience. Discounted rate available to Pensioners and Concession holders across Melbourne. 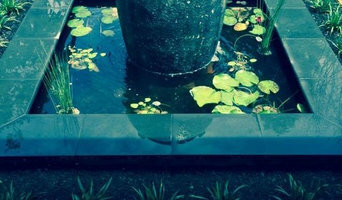 Landscape design and construction, servicing residential, commercial and public sites. 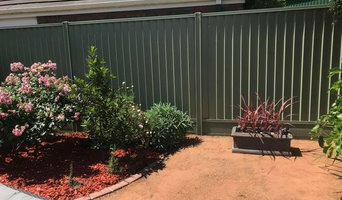 Quality Workmanship and Good Old Fashioned Service Seahaven Landscapes delivers the complete landscape construction service to Melbourne's South East and Mornington Peninsula. From start to finish you'll have the same friendly tradesmen on site, including the fully qualified owner of the business. Rural properties are our speciality. With over 20 years experience Seahaven Landscapes are Registered Building Practitioners and Registered Master Tradesman giving you the confidence of dealing with recognised professionals. Shade Sails · Awnings · External Blinds · PVC Café Blinds · Flagpoles · Banner Poles · Flags & Banners · Goal Posts · Privacy Screens Welcome to Crew Products Crew Products specializes in the manufacture and installation of a wide range of external sun control products and solutions from awnings, shades, café blinds and motorized products. The company has also had a long history with the manufacture and installation of flagpoles and banner systems Our services include design. manufacture, installation and ongoing service. 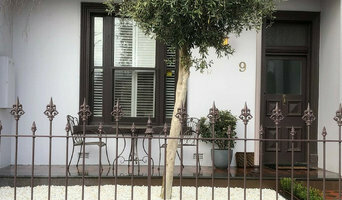 Crew Products has been operating in Melbourne for over 20 years and is renowned for its friendly and efficient service. About us We have extensive experience in working large projects and designing products in conjunction with architects and builders. Shade Sails If you have an outdoor area that needs protection from the sun we can design and Install high quality shade sails. Our sun shades are perfect for courtyards. backyards. around pools. driveways, schools, child care centres, and commercial car parks. The shade cloth provides up to 90% UV protection. ventilation and light protection from rain. Awnings Our awning solutions are ideal for both residential and commercial verandas, patios and outdoor entertainment areas. Blinds Protect your outdoor entertainment area from uncomfortable rain and wind. Our product range includes: - clear and tinted PVC - geared and manual blinds - Daintree tandem clear and mesh blinds Ideal for outdoor entertainment areas like BBQs. beer-gardens. cafes. pool areas. courtyards etc The awning can be manual or motorized. Flagpoles & Flags Our flagpoles are designed to meet or exceed Australian standards. Our flagpoles are manufactured using durable Australian made raw materials and components. Using the latest manufacturing techniques will ensure a reliable flagpole that will last. Crew manufactures an extensive range of aluminium or steel flagpoles. We can organize international, national, state and corporate flags. Banners The poles are Ideal for hanging advertising and promotional banners. Elegantly designed. the poles can be painted any colour and the anodised. polished, silver bullet cap contrasts with the pole colour and finishes the overall look superbly. Crew can organize the printing of the banners. Call on 03 9532 0058 for an obligation free consultation, on site measure and quote call. Up The Wall Vertical Gardens and its associate businesses have been providing quality work for over 20 years. Up the wall specialises in the design and construction of vertical gardens and all products are sourced locally from reputable suppliers. Working within the horticultural industry for over twenty years, you could say that we love what we do! We believe that a garden makes a house a home, somewhere for all the family to enjoy. We are a reliable and friendly team of passionate horticulturists, carpenters and builders with over twenty years of landscaping experience. We are dedicated in making your dream garden a reality. Lush landscaping is a powerful family operated landscaping business with years of experience . 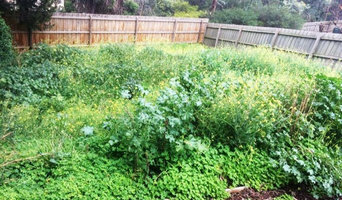 We cover all areas in melbourne, Our service includes garden design, retaining walls, complete garden makeover, paving, pond building and installation and many more. To discuss your project with one of our landscape contractors or to request a free quote, simply give us a call on 0432640136.